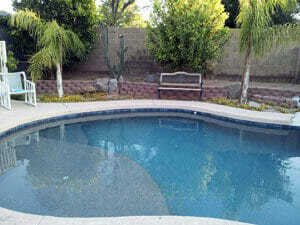 Professional Swimming Pool Products, Cleaning and Repair Services in Mesa, Arizona! Davis Pool Service offers a full range of swimming pool cleaning and repair services as well as discounted pool supplies and products. Arizonans know how tough it is to keep the pool clean, especially during the summer months when the water warms and becomes a perfect breeding ground for algae. Not to mention the amount of dust in the air. Keeping your pool pump and pool equipment running smoothly is essential for a clean, refreshing pool. 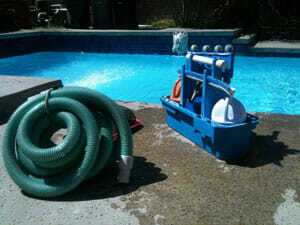 That’s why we offer swimming pool cleaning services weekly, one-time, or when you are on vacation. 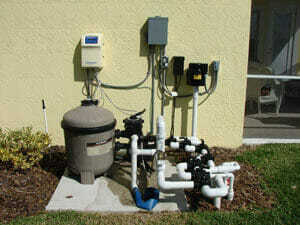 Additionally, we offer pool pump repair and installation services. 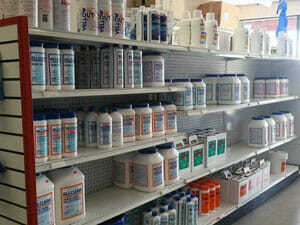 We also sell swimming pool supplies, products and chemicals from brands such as All Clear, Biodex, Hasa, Natural Chemistry, Easy Care. We also offer a large variety of parts for pool pumps, motors, filters and vacuums from brands like Polaris, Pentair, Hayward, Zodiac. 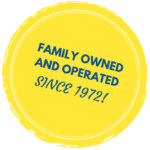 In the event your Hayward pool equipment is under warranty, we are a certified Hayward warranty station as well! And for those chilly winter months, we also install and repair pool gas heaters from Raypak. Contact Davis Pool Service today to learn how we can help you keep your pool clean and swimmable all year long! Prepare your pool for the upcoming swimming season! We offer a full range of swimming pool products, chemicals and supplies to help you get your pool ready for summer! Visit us today for all of you swimming pool cleaning and repair needs today! Exisiting customers will receive ONE FREE MONTH of cleaning services when they refer friends, family or neighbors. LET OUR PROFESSIONALS CLEAN YOUR POOL FOR YOU! Keeping pools clean in Arizona can be a struggle! Call us today about our professional pool cleaning and maintenance services today! I recently had Davis Pool Service do service on what was becoming a murky swamp. They came, did exactly as they were supposed to, and did a fantastic job. I would highly recommended them to friends and neighbors with Pools. After this first interaction with Davis, I am considering hiring them for weekly services next pool season. Thanks! Great company to work with. They are always prompt in their service and have saved me money on multiple occasions. I was told by one company that I would need to replace my motor, but Heath was able to rebuild it for a fraction of the cost. I have found the entire staff to be nothing but kind and helpful. I encourage all my friends and coworkers to use Davis Pools as I know they are people of integrity and do quality work. Started with Davis Pools a few years ago. Cleaners and technicians really know their stuff. My pool is always sparkling clean and the gals in the store and office are always helpful and courteous. Fair prices to boot too!! I definitely recommend them. I am a Realtor in Mesa and have sent several of my clients to Davis Pool Service. They are professional and prompt, I know they will always take care of my clients pool's as if it were their own and they always try to save my clients money. You will not find better service. Most reasonably priced service, equipment and supplies you can find. If they don't have it they will order it. Fantastically run family operation. Stay away from the high priced franchise stores. Theses guys are #1 in my book.